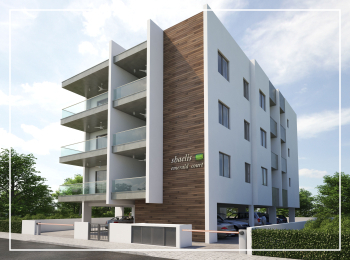 EMERALD COURT is located at Georgiou Neophytou street near AZAX HOTEL 1Km from the sea frond and 1km from Nicosia / Paphos motorway. 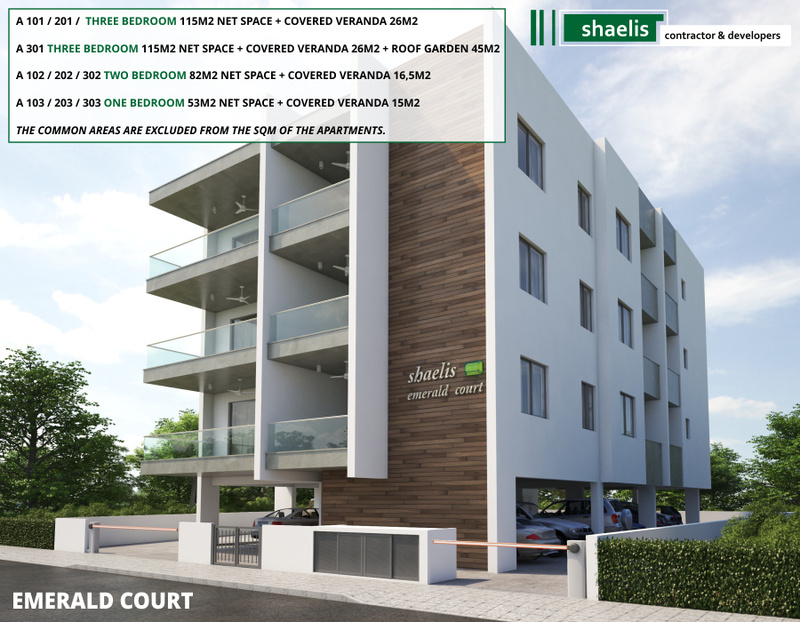 Emerald court consists of 9 apartments, 3 three bedroom apartments 3 two bedroom apartments and 3 one bedroom apartments. The third floor 3 bedroom apartment enjoys the benefit of a roof garden which is partly covered with a pergola and parbeque area. All apartments obtain a personal storage room and covered parking area.